At Aberlour Options Fife we provide a range of support both outreach and residential short breaks to for young people up to the age of 18 years, who have learning disabilities. We aim to provide families with a short break from their caring role, through the provision of high quality child-centred service which provides a positive experience for the young people we work with. We currently have two house offering weekend and holiday residential respite, one situated in Glenrothes and the other in Dunfermline. We have a strong reputation in supporting young people with high levels of complex needs, supporting them to grow, learn and maximise their potential. We feel every child has the right to flourish. Our Young People’s Workers play a fundamental role in ensuring that the young people they work with have the best possible experience in working towards their objectives in line with their care plan, supporting children to progress within their individual outcomes. Whilst not without its challenges and demands, this is a highly rewarding role, where the work we do has a demonstrable impact on each young person&apos;s progress. 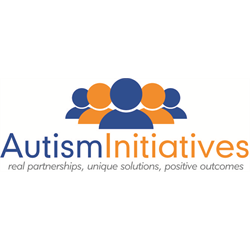 Using a person centred approach you will provide enabling support ensuring the highest level of physical, personal, and emotional care to support children in their daily living and within the local community. Our day usually starts around 7.30am with the morning routine. We support our Young People to get ready for their day ahead assisting all aspects of personal hygiene. We then prepare breakfast and medications for each of our Young People and organise the day’s activities. We plan mornings out, taking into account the health and safety requirements for each activity we undertake. After lunch we prepare an in house activity, this also allows staff to complete daily paperwork such as weekend logs for our Young People, updating care plans and review reports etc. In the evening we cook a healthy dinner taking into account our knowledge of our Young People’s likes and dislikes and particularly if they have restricted diets. 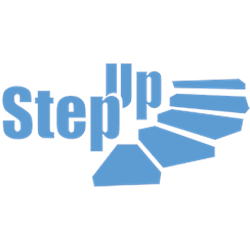 “We enjoy building relationships and working with our young people and families the service supports. Aberlour had helped to support us in our role through the extensive training opportunities and supportive management. Aberlour Options Fife have created a ‘home away from home’ for both our young people and staff team”. Why should I apply for this post? As Young People’s Worker you will receive a planned and supported induction consisting of a varied training programme; including CALM Training, Child Protection Training and Fire Safety Training. You will be working alongside a highly motivated and skilled team to provide a personalised service for our young people. As part of our recruitment drive we are holding an Open Day on the 4th February 2019 between noon and 7pm within our service at McNally House, 75 Wilmington Drive, Glenrothes, KY7 6US. Please feel free to pop into our service at any point during these times to get more information about our services and the positions available. 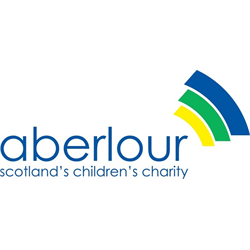 Aberlour is committed to the safeguarding and welfare of all our service users and uses a thorough and rigorous recruitment and selection process including PVG Scheme checks to ensure this commitment is not compromised. 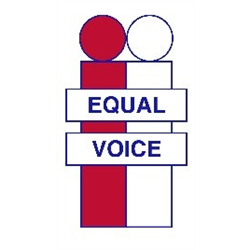 Equal Voice are looking for a part-time (18 hours) Citizen Advocacy Development Worker who is a dynamic, creative, professional who is passionate about the rights of vulnerable people; community orientated; with a strong record of developing initiatives. You will support existing Advocacy Partnerships (between a vulnerable adult and a trained volunteer), and inspire local people to become advocates for vulnerable people in Central Fife with learning disability, physical disability or a mental health difficulty which impacts on their ability to look after their own affairs. You will work within a small team of Development Workers who work across local schools and colleges, and in the wider local community. The 18-hour post is based in Central Fife and is funded by The National Lottery Community Fund until November 2022. The position requires an enhanced PVG disclosure.